Building your own home can be a stressful time so it is important that you feel as comfortable as possible when you’re not working on the project. A garden studio can be an ideal replacement to living in a caravan. A garden studio allows you to be on site to oversee the build and can be just like living at home. A garden studio can make huge long term cost savings for your project and home. It is a long term structure which can be used for lots of different purposes once you no longer live in it. 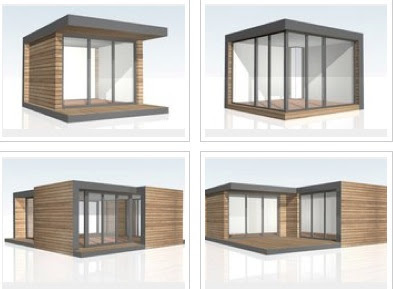 Atelier Garden Studios launched last year at Grand Designs Live and have recently developed a new range of Garden Studios, the Series S (pictured above) which is a bit more angular than previous models and is aimed at potential shedworkers who prefer a more geometric look. The new range was launched at Grand Design Live in October and prices start from £14,995 (inc VAT).